The wide palette of influences that came together to form country music’s unique sound is something that can be a marvel to explore. From the Gaelic and Celtic influences carried by northern European immigrants to the United States, to blues modes from the deep South, to the cowboy themes from California and folk’s influence of telling the story of the common man, these and many more influences all coagulated into this unique American art form that appeals so deeply to the hearts and heritage of country fans. Yodeling is also one of these influences—an ancient art form that originated in the central European alps as a way for herders and villagers to easily communicate over the sloping terrain. Just like the old-time fiddle tunes that went into the formation of bluegrass, yodeling was carried over to America by German immigrants that settled in Appalachia and the deep South, eventually intertwining with folk and blues until both Jimmie Rodgers and Hank Williams were employing the singing style as a way to communicate the pain inherent in the themes of country. 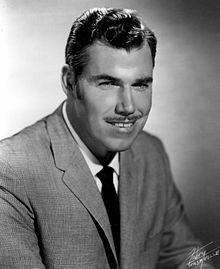 Yodeling became deprecated in popular country music by the late 1950’s, but not before Slim Whitman who passed away on June 19th mastered the craft and made the world a timeless catalog of it in the country music context. Slim may not be given as much credit of the formation and popularization of country music as Hank Williams or Jimmie Rodgers, but he sold a surprising 120 million records worldwide, primarily by appealing to Europeans just as much, if not more than the American audience. Though Whitman never scored a domestic #1 (he did have a couple of #2’s), his song “Rose Marie” held the record for the longest UK #1 for 36 years, spending 11 weeks at the #1 spot. Whitman was right-handed, but was a left-handed guitarist, stringing the guitar upside down; a practice later adopted by Paul McCartney after seeing Whitman playing guitar on a poster. Whitman’s influence far outlasted his popular music popularity, and so do his songs that illustrate an astounding, enchanting control of the human vocal range. And people still say old-school country has no use. Ha! RIP Slim. Yodeling champion, and savior of planet Earth. Two of my really good friends danced their first dance as husband and wife to “Indian Love Call”. In his words, “hearts were set afire and Martians defeated that day”. Pure inspired genius. RIP Slim. I love that movie, a comical classic in my opinion with an all star cast.